Travel is one of those things that is very time-specific. When you start planning a trip, one of the first steps is to decide WHEN you want to go. In my own experience, I can say that there are multiple advantages to traveling during what is called ‘shoulder season’. Here are 5 reasons to travel during shoulder season. Just what is shoulder season? Shoulder season is any time of year between peak season and off-season. For most travel destinations, the summer is peak season, while the winter is off-season. So spring and fall are shoulder season for many places. We took our recent trip to the UK in October, which turned out to be ideal. England and Scotland experienced unseasonable warmth and we never even had a rainy day! On a previous trip, we visited Europe in late February (off-season) and again, had no problem getting around. Availability is increased. When we travel in the off- or shoulder-season, we usually find that it is easier to get in to the attractions that we want to see. 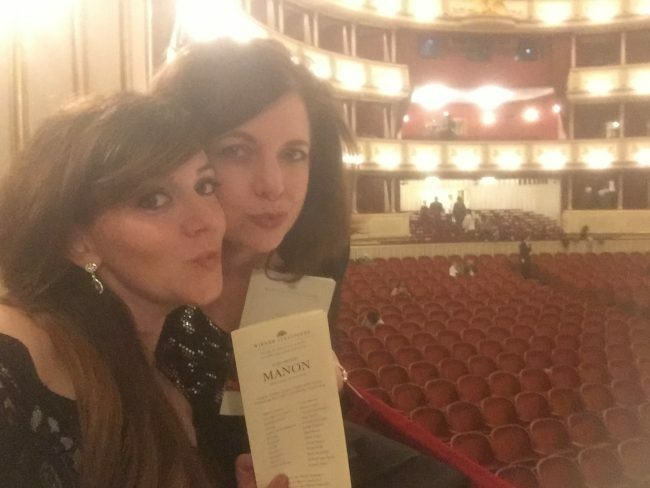 In Vienna, we were able to score tickets to the Vienna Opera House with no problem at all. Another plus with increased availability is the possibility of accommodations with awesome views! There is less competition for those views. (Save up to 10% on hotels as an AARP Member) We walked out onto the terrace of our room in Edinburgh, Scotland and the next shot is what we saw! 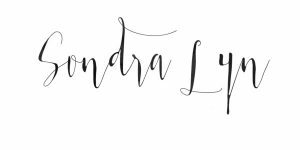 I could hardly believe it… it was like stepping into a dream! Crowds are thinner. This is a huge plus for us. It is wonderful to be able to see the sights without fighting throngs of people. 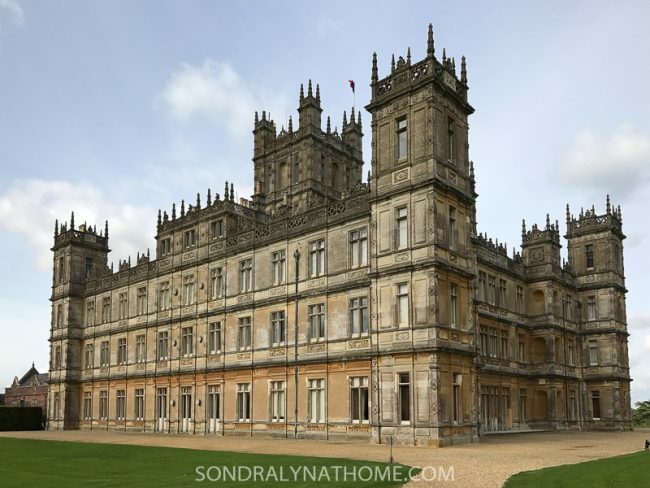 The day that my daughter and I visited Highclere Castle outside London, there were 64 people touring – total. During the summer they host between 900-1200 folks per day! What would be the chances of getting these photos with no other people in them any other time of year?! Weather is tolerable. If you’re planning to travel to any reasonable climate, you’re probably safe to do so during shoulder season. You might want to avoid extreme areas, like Alaska or Iceland, during the winter, but even if you go to Europe and encounter some snow, how magical is that? We had snow in Schwangau, Germany and it was the most beautiful sight we’d ever seen! 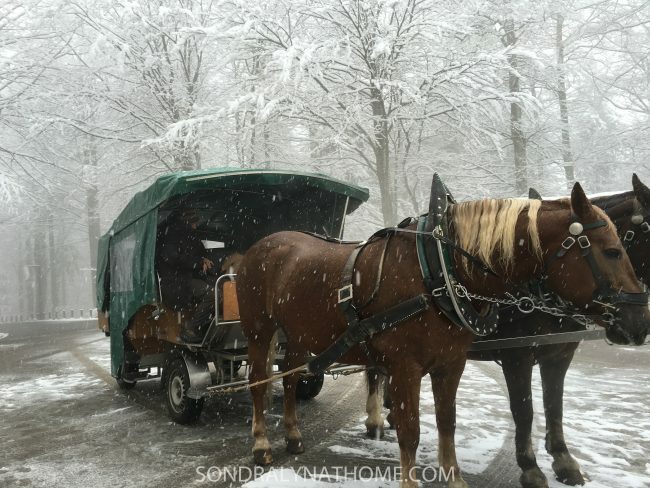 Who can resist getting around town in a horse-drawn carriage… in the snow? Locals are friendlier and more accessible. Part of the reason we love to travel is connecting with the people who live and work at our destination. 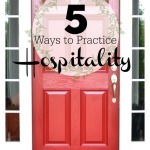 Of course, friendly people are just that at any time during the year but during shoulder and off-seasons there are greater opportunities to connect with folks. 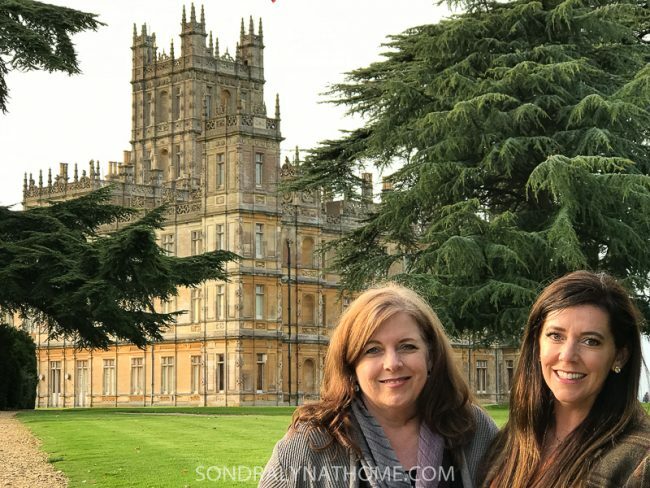 For our Highclere Castle tour, we were greeted and the tour introduced by none other than Lady Carnarvon, the owner herself! What a treat! 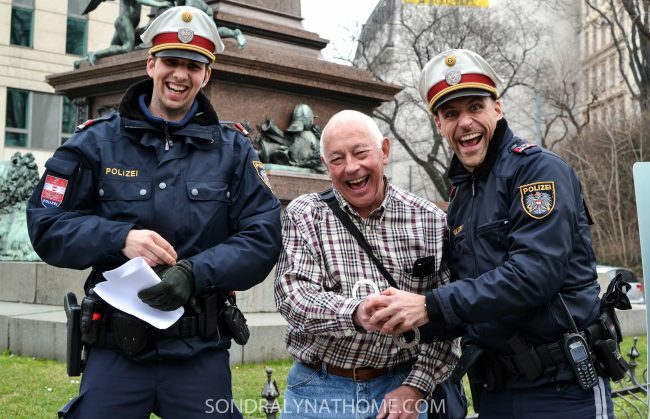 And once, we happened upon two of Vienna’s Finest – and they were more than happy to pose for a photo hamming it up with my husband! 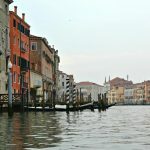 One of the reasons we became interested in traveling to Europe is that we began to do some research into our heritage. 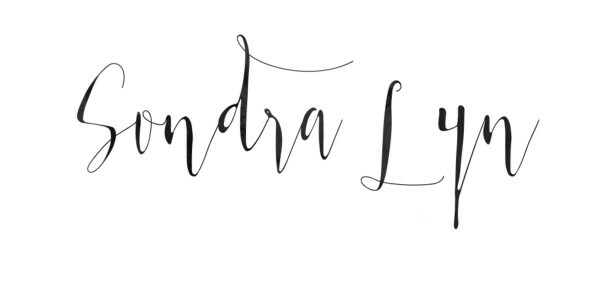 I joined ancestry.com in order to find out more… and traced my roots to Scotland! You can save on your ancestry.com membership just by being an AARP Member! To help you get the most out of your travel, anytime of year, AARP offers exclusive travel deals and discounts that you don’t want to miss. You may not be aware that people who are 50+ can take advantage of these benefits! Becoming an AARP member has been one of the smartest things we’ve ever done. 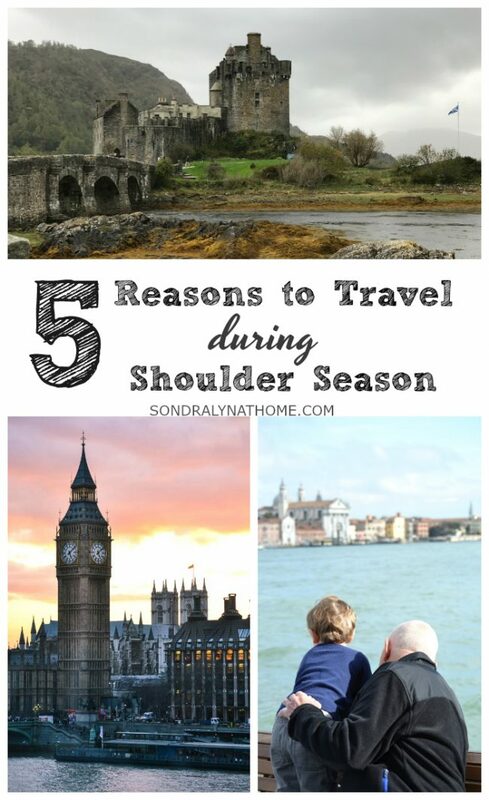 I hope my 5 reasons to travel during shoulder season are a help to you. Where are you planning to travel next? 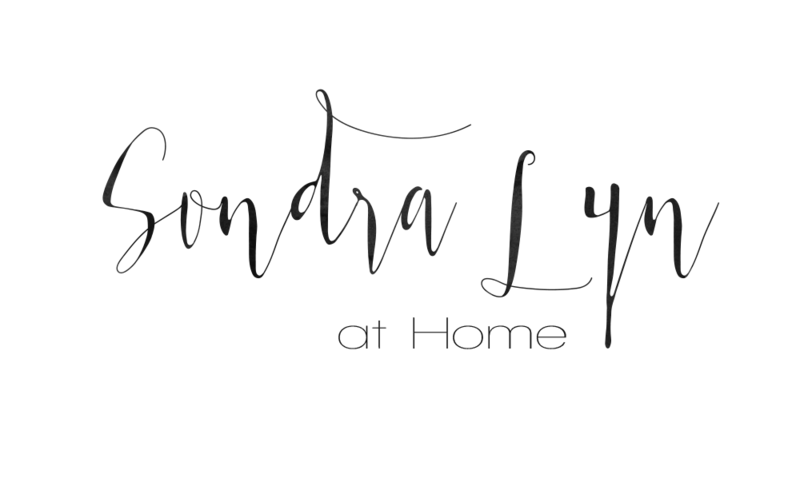 Leave your comment below to let me know!! Your 5 tips on traveling during Shoulder season are very helpful. Thank you for the great ideas. I’ve never heard it called this before. We try to travel if possible during off peak times for these reasons. I never thought about locals being more accessible during the off season, great tip! 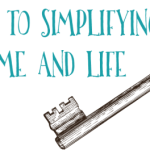 What great travel tips – LOVE getting a deal! Great ideas and your photos make me want to go! 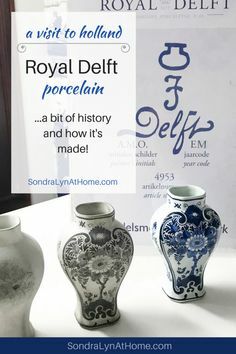 LOVE these tips and the photos too! These are great tips! Thank you!! 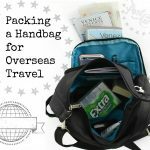 Great travel tips! 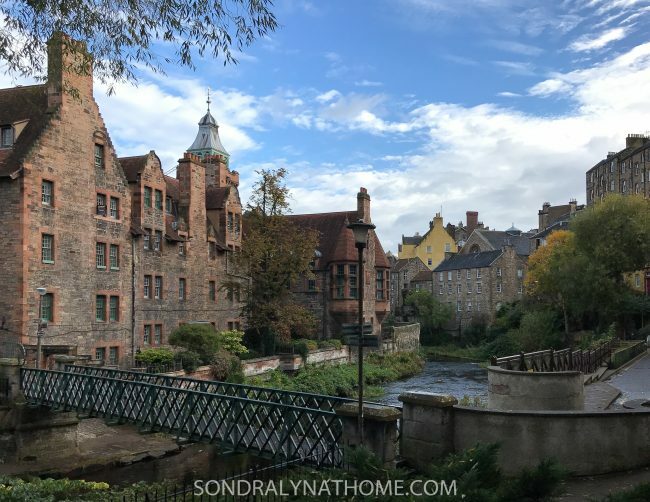 That’s so fun that you discovered your Scottish heritage – it’s a gorgeous country! OMG I need to travel more! What gorgeous photos! !